In this cool online vlog for kids, featuring five balloons, learn colors. 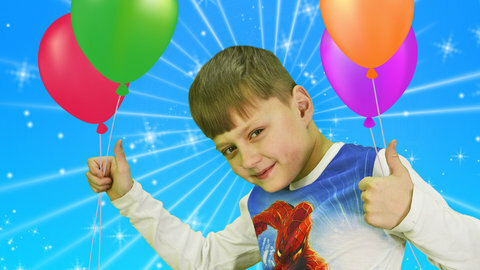 Join funny kid vlogger Igor and his friend as they blow up orange, red, green, yellow and blue balloons. Learn color words as they sing along to the kids’ song. To watch full episodes that aids the learning of colors, visit SeeZiskids.com!